If you appreciate the full range of a piano keyboard in a lightweight package, the 88-note Keystation 88es is for you. You get great-feeling, semi-weighted action that’s velocity sensitive to convey all the nuances of your playing to your computer and most popular music education and studio software. The pitch and modulation wheels plus slider and buttons make it a great controller for playing and programming synths, samplers, drum sounds and more. At just 22 lbs., the Keystation 88es is equally at home on stage and in the studio. 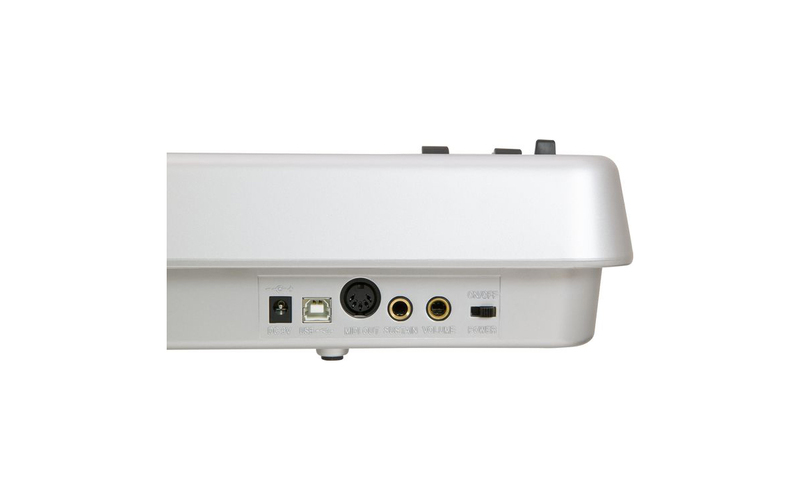 Class compliancy with Windows XP, Vista (32 bit), and Mac OS X ensures easy plug-and-play setup. It’s even bus-powered, so one simple USB cable is the only connection you need.